The CEO and founder of ARY Digital Networks, Mr. Salman Iqbal signed a contract on Monday with three other companies to bring Brave 17 MMA franchise in Pakistan. 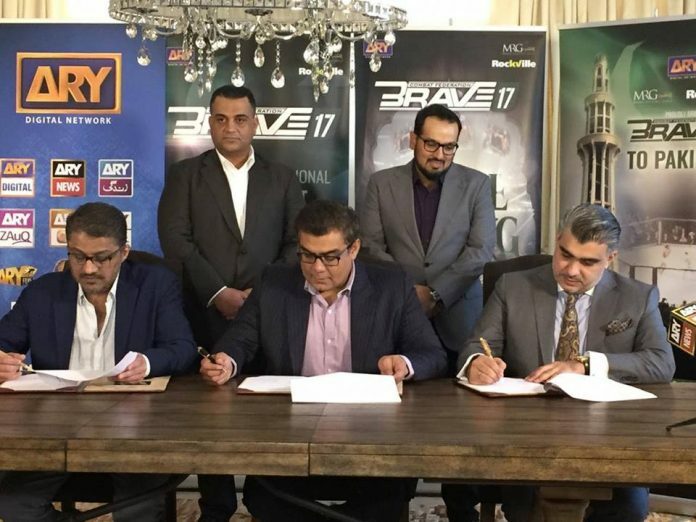 Mr. Salman Iqbal signed a contract with, Brave Combat Federation, Rockville, GreenHill Sports and MRG to bring the international Mixed Martial Arts franchise to Pakistan. Mr. Salman Iqbal, who has been working for the promotion of sports in Pakistan, also elected as the Chairman of Brave Pakistan Limited. “Brave Pakistan will provide local martial artists an international platform,” said Mr Iqbal. Brave Combat Federation was founded by Sheikh Khalid Bin Hammad Al Khalifa. The federation has held MMA competitions in Brazil, Bahrain, and 43 other countries, featuring more than 250 fighters. President of Brave Combat expressed his pleasure after signing the contract and stated that this initiative will create more opportunities for the local MMA fighters. “I am pleased to announce our partnership with ARY. The partnership will ensure to direct our collective synergies towards developing the sport of Mixed Martial Arts in Pakistan. We are glad to work alongside top industry leaders including ARY, GreenHill Sports and House of Rockville to bring this initiative to Pakistan. This initiative will create economic opportunities and to strengthen the relationship between the two nations. 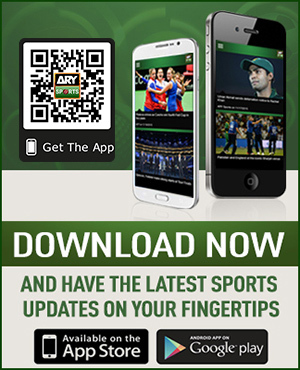 We are thrilled to partner with ARY in Pakistan and this mark a new chapter for sports media initiatives in Pakistan,” he said. The martial arts event will take place on October 27th at Nishtar Park Sports Complex, Lahore. It will be a historical event for Pakistan’s martial artists.